Xbit Labs is reporting that a leaked AMD document strongly suggests the company will bin its Phenom, Athlon and Sempron brand names for its Fusion APUs (accelerated processing units). The site also claims that Llano APUs will contain either two or four CPU cores with Radeon HD 6000-series graphics units, and will be branded as A-series processors under the AMD Vision Ultimate and AMD Vision Premium logos. We contacted AMD to verify the story, but were told that ‘AMD do not comment on rumour or speculation.’ The story has some legs, however, as the first Brazos APUs are merely called ‘AMD Embedded G-Series processors’ by AMD. 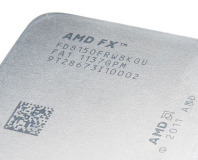 However, elsewhere AMD is still pushing the Fusion brand, which we were previously told by AMD marketing fellow John Volkman would be a ‘sell-in brand, a brand for the industry to use.’ We were also told that the new AMD logos and branding wouldn’t include Fusion. As The Tech Report points out, this has led to confusion, as HP claims its Pavilion dm1z series netbook has a ‘dual-core AMD Fusion processor E350,' while the Gigabyte GA-E350N-USB3 merely has an ‘AMD Dual-Core E-350’ processor. Both systems actually use the same APU, despite the different branding. 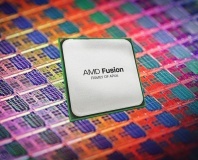 AMD has previously shown that it wants all future PCs and laptops with AMD parts to just use its Vision and Radeon Graphics logos, so that Fusion is just a name for those in the know, with all the confusing sub-brands shuffling off into oblivion. Theoretically, this not only makes buying a PC or laptop easier for the consumer, but it could also make the AMD brand stronger. Are you annoyed that AMD isn’t being clearer with its branding strategy, or are you sad to potentially see an end to the Phenom and Athlon brands? Please share your thoughts in the forums.